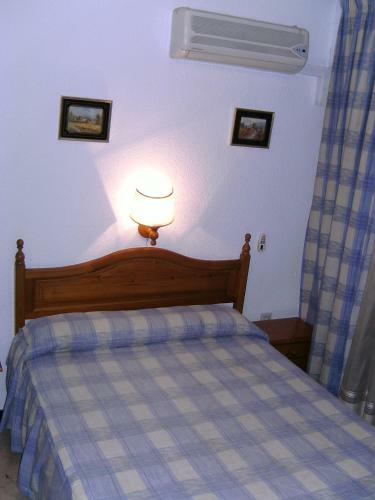 This simple and comfortable guest house is located 50 metres from Federico García Lorca Park. 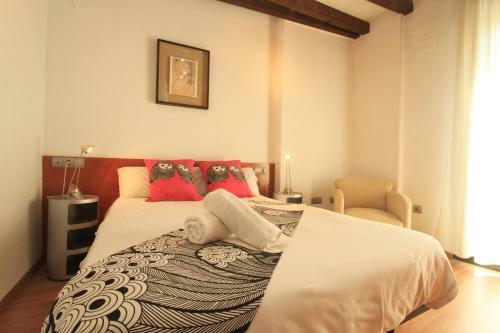 It offers air-conditioned rooms and a free Wi-Fi zone, 10 minutes’ walk from Granada Cathedral. This hotel is 2084 metres from the Alhambra entrance, 1123 metres from Plaza Nueva (the absolute centre of Granada), 1400 metres from the train station and 3080 metres from the bus station. 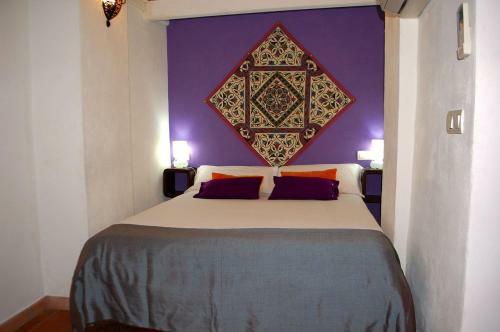 The Almohada hostel is set in an attractive Moorish-style house just 100 metres from Granada Cathedral. It has free Wi-Fi and a kitchen that can be used by all guests. This hotel is 1595 metres from the Alhambra entrance, 493 metres from Plaza Nueva (the absolute centre of Granada), 1138 metres from the train station and 2689 metres from the bus station. Set in Granada's historic Albayzin district, this small complex offers stylish, air-conditioned apartments with a personal touch. They are located on a quiet pedestrianised street, 5 minutes' walk from the popular Sacromonte neighbourhood. This hotel is 895 metres from the Alhambra entrance, 849 metres from Plaza Nueva (the absolute centre of Granada), 2005 metres from the train station and 3030 metres from the bus station. Set in Granada, the Hotel Citymar San Anton is five minutes from the Palacio de Exposiciones y Congresos and offers air conditioning, family/oversized rooms and an outdoor pool. The Hotel Citymar San Anton offers a convenient 24-hour reception as well as highchairs, meeting rooms and bicycle rental. In fine weather, an outdoor terrace offers a nice spot to relax. Guests can find a gift shop within the hotel. 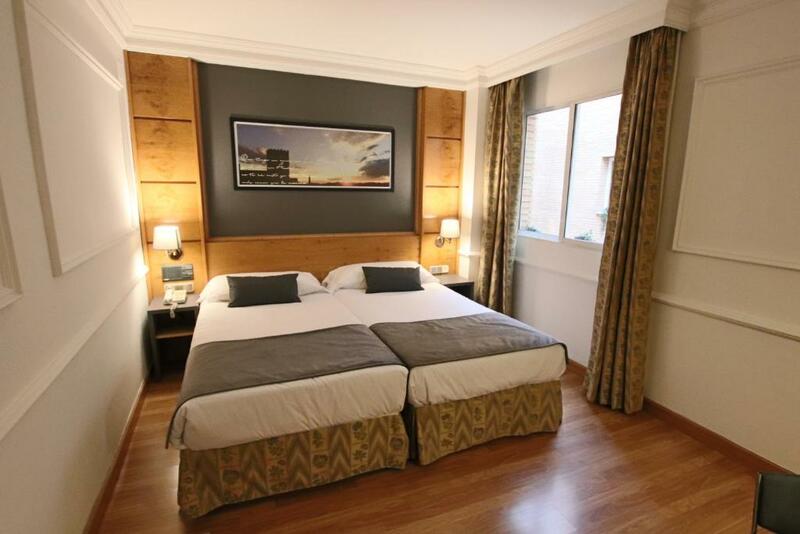 The rooms at the Hotel Citymar San Anton are comfortable and modern with modern amenities and en suite facilities. A shower, a hair dryer and cable / satellite channels can be found in each room of the hotel. A bathtub, a telephone and heating are also provided in each room. To make sure your day gets off to a great start, the hotel offers a buffet breakfast each day. For other meals, there are plenty of restaurants and cafés situated nearby. Room service is also offered during certain times. Located just a stone's throw from a number of popular hot spots, the hotel is in close proximity to lots of bars, nightclubs and trendy restaurants. Generalife is less than a 20-minute drive from the hotel. This hotel is 1505 metres from the Alhambra entrance, 1063 metres from Plaza Nueva (the absolute centre of Granada), 2182 metres from the train station and 3810 metres from the bus station. This hotel is 1632 metres from the Alhambra entrance, 544 metres from Plaza Nueva (the absolute centre of Granada), 1168 metres from the train station and 2752 metres from the bus station. 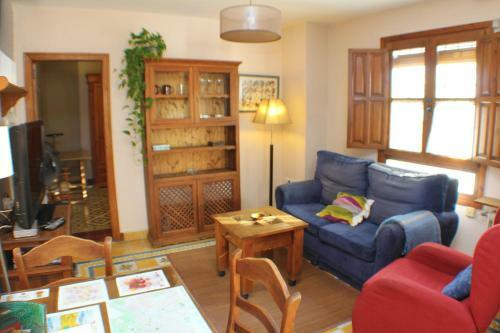 Featuring free WiFi, Elvira Home Granada is set in Granada, 400 metres from Granada Cathedral. Alhambra and Generalife is 1.1 km from the property. All units are air conditioned and include a seating area with a flat-screen TV and DVD player. This hotel is 1476 metres from the Alhambra entrance, 442 metres from Plaza Nueva (the absolute centre of Granada), 1159 metres from the train station and 2546 metres from the bus station. Featuring free WiFi and a sun terrace, Oh! 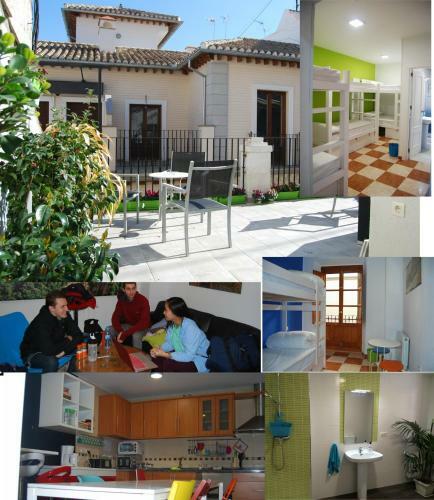 My Hostel offers accommodation in Granada, 800 metres from Granada Cathedral. This property offers bed in dormitory rooms. This hotel is 1134 metres from the Alhambra entrance, 739 metres from Plaza Nueva (the absolute centre of Granada), 2086 metres from the train station and 3645 metres from the bus station. Hostal Moni is located in Granada’s charming Albayzín district, just 5 minutes’ walk from the famous San Nicolás Viewpoint. It offers air-conditioned rooms and studios with flat-screen satellite TV. This hotel is 1399 metres from the Alhambra entrance, 781 metres from Plaza Nueva (the absolute centre of Granada), 1452 metres from the train station and 2475 metres from the bus station. Set in a renovated old building, with a traditional Andalusian central courtyard, Alhacaba is located a 15-minute walk from the Alhambra Palace. 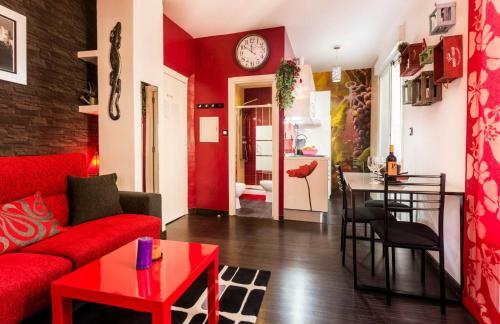 These air-conditioned apartments offer free WiFi. This hotel is 818 metres from the Alhambra entrance, 430 metres from Plaza Nueva (the absolute centre of Granada), 1973 metres from the train station and 3416 metres from the bus station. 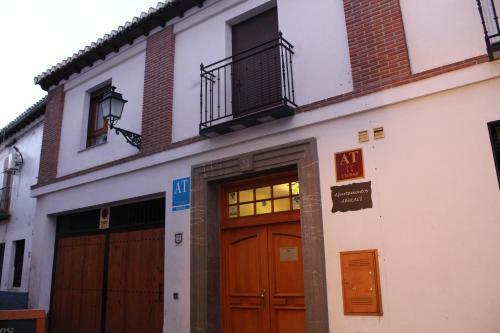 Set in the Abayzín District of Granada, Alojamientos Alhambra offers heated apartments with free Wi-Fi. Some have a furnished terrace with impressive view of the Alhambra. This hotel is 884 metres from the Alhambra entrance, 854 metres from Plaza Nueva (the absolute centre of Granada), 2018 metres from the train station and 3043 metres from the bus station. Situated in the centre of Albaicin, this comfortable hotel provides guests with 24 hour room service, a 24 hour reception and air conditioning. The Santa Isabel la Real provides a number of facilities including a ticket service, luggage storage and multilingual staff. An internet connection is available for those guests who wish to keep online while on the road. Travel arrangements can be made at the hotel's tour desk. All of the comfortable rooms at the Santa Isabel la Real are equipped with a hair dryer, complimentary toiletries and cable / satellite channels. A seating area, a private bathroom and a TV can be found in each room of the hotel. Heating, a desk with an electrical outlet and a telephone are also on offer in every room. To make sure your day gets off to a good start, the hotel provides a buffet breakfast every day. For other meals, there are plenty of restaurants and cafés located within a short walk. A large selection of eating options are also available in the area. The situation of the hotel allows guests to easily access multiple tourist attractions by foot. The Madrasah of Granada, Granada Cathedral and Royal Chapel of Granada are within a quick 10 minute walk of the hotel. This hotel is 1237 metres from the Alhambra entrance, 442 metres from Plaza Nueva (the absolute centre of Granada), 1431 metres from the train station and 2666 metres from the bus station. 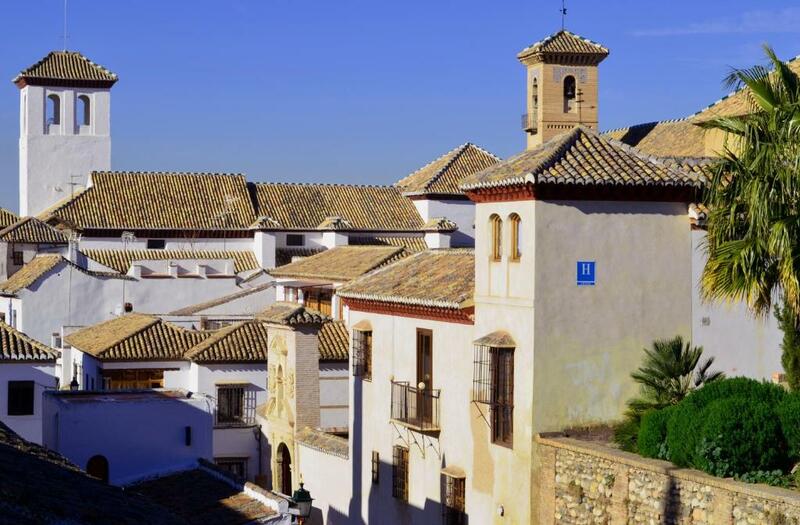 Situated in Centro, the Puerta de Las Granadas is five minutes from the Madrasah of Granada and offers an express check-in and check-out feature, air conditioning and a sun deck. The hotel offers honeymoon suites. The hotel also offers a 24 hour reception, multilingual staff and luggage storage. There is a gift shop within the hotel building. The comfortable and charming rooms at the Puerta de Las Granadas include a private bathroom, a mini bar and cable / satellite channels. Complimentary toiletries, a shower and a hair dryer can be found in each room of the hotel. To ensure your day gets off to a great start, the hotel offers a buffet breakfast every day. For other meals, there are many restaurants and cafés situated nearby. A wide selection of dining options are also found in the area. Guests can take advantage of the hotel's own shop or visit a selection of stores and boutiques in the local area. Granada Cathedral is within a short 10 minute walk of the hotel. This hotel is 993 metres from the Alhambra entrance, 119 metres from Plaza Nueva (the absolute centre of Granada), 1684 metres from the train station and 3097 metres from the bus station. These apartments are in the heart of Granada’s historic Albaicín, a World Heritage Site. 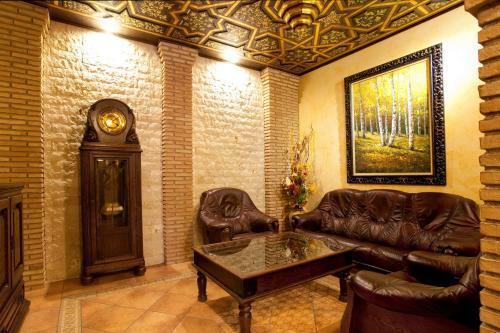 They each have free internet and are built around a lovely Andalusian patio. There is a bus stop just metres away from the Apartamentos Abaluci. This hotel is 1179 metres from the Alhambra entrance, 719 metres from Plaza Nueva (the absolute centre of Granada), 1652 metres from the train station and 2700 metres from the bus station. Located under a 20-minute walk from Granada Train Station, the Cedran Hotel features ski passes. Situated in the vibrant Centro, the hotel has easy access to numerous dining and entertainment venues. The Cedran Hotel offers a convenient 24-hour reception as well as luggage storage, a ticket service and family/oversized rooms. In sunny weather, an outdoor terrace offers an ideal spot to relax. Travel arrangements can be made at the hotel's tour desk. 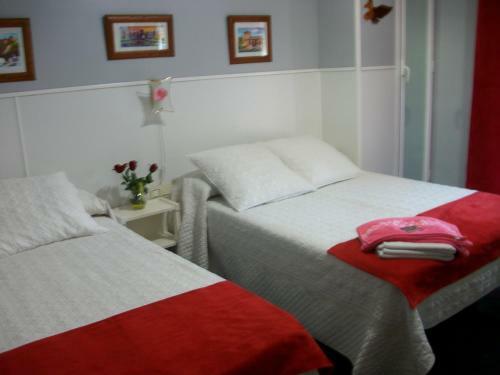 The Cedran Hotel offers air-conditioned rooms, great for travellers. Cable / satellite channels, complimentary toiletries and a private bathroom can be found in each room of the hotel. An in-room closet, a desk with an electrical outlet and a hair dryer are also included in every room. The Cedran Hotel's neighbourhood is known for its nightlife and you'll be spoilt for choice deciding on which place to go. The hotel is a short walk from Granada Cathedral, and an easy drive from Monachil. The Monastery of Saint Jerome, Royal Chapel of Granada and the Madrasah of Granada are within a 10 minute walk of the hotel. This hotel is 1434 metres from the Alhambra entrance, 544 metres from Plaza Nueva (the absolute centre of Granada), 1584 metres from the train station and 3179 metres from the bus station.